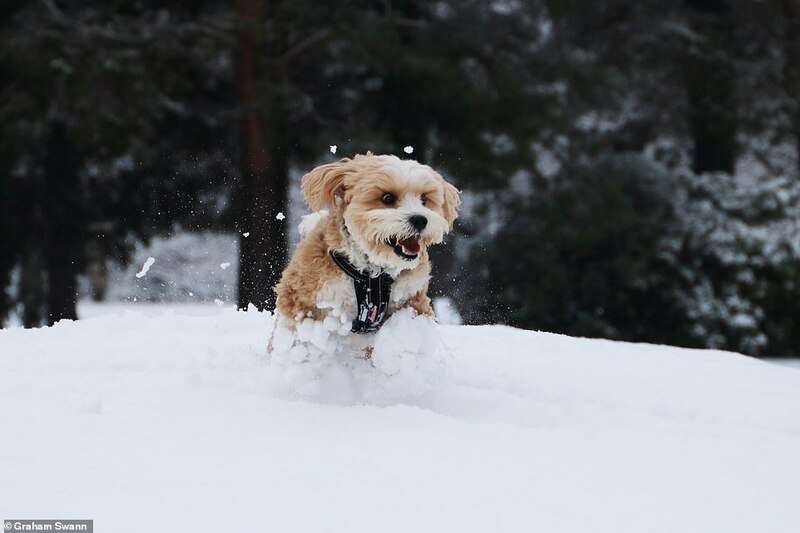 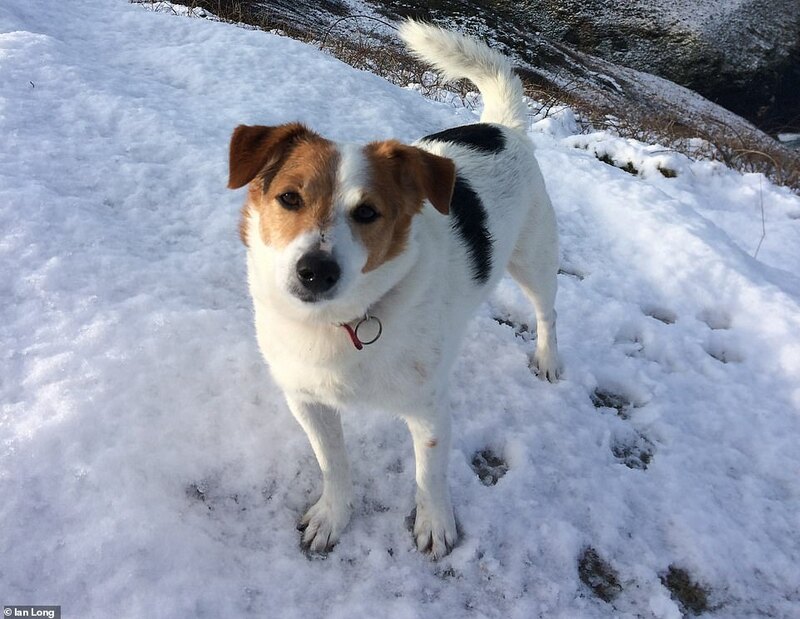 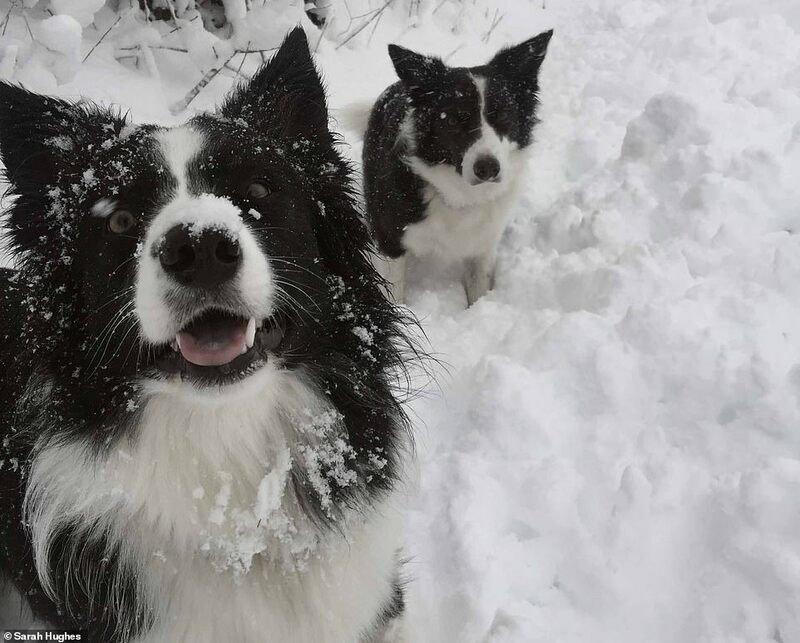 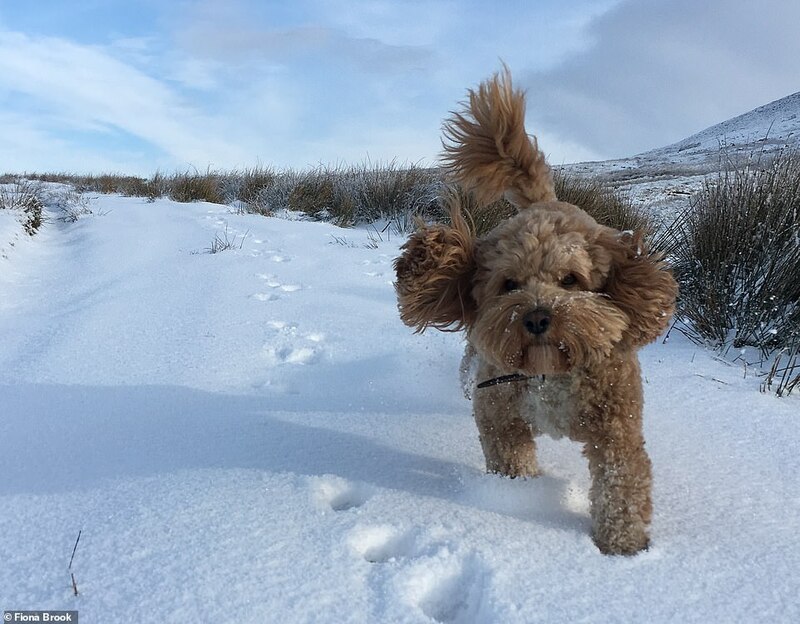 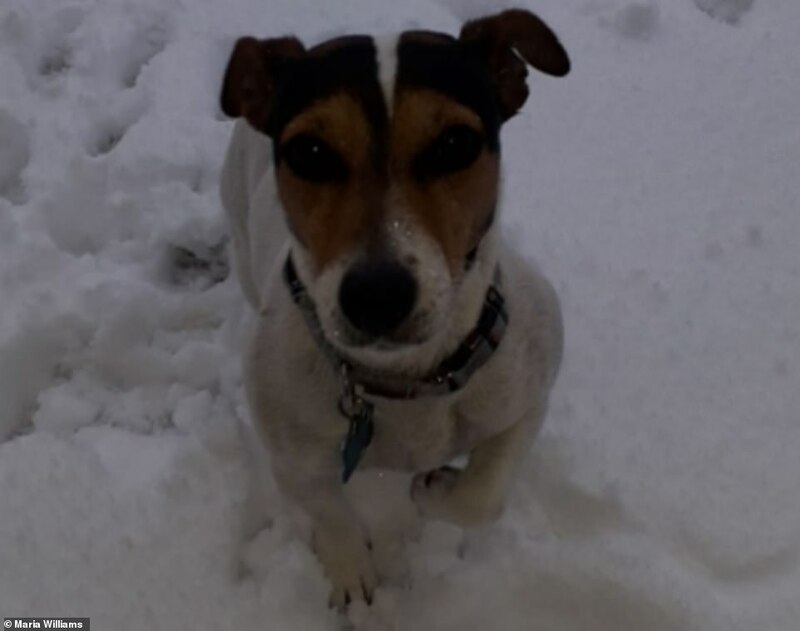 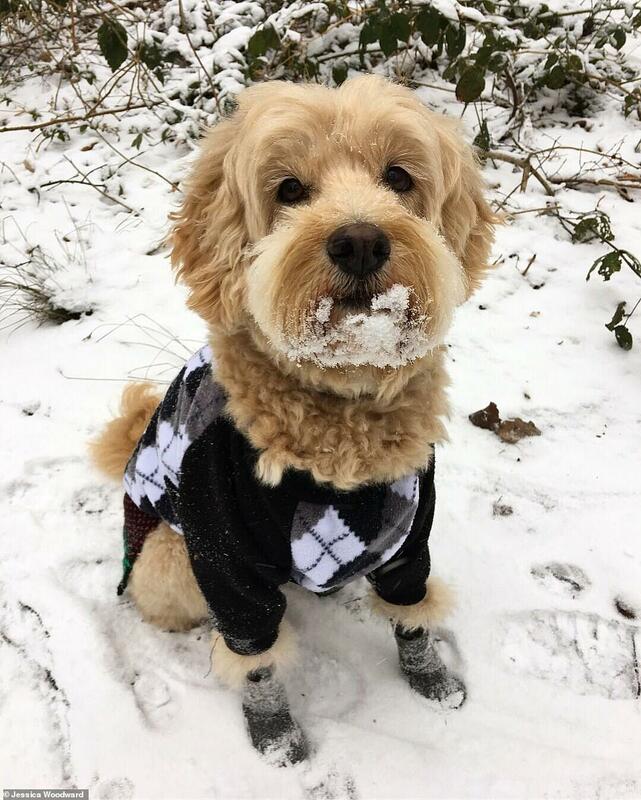 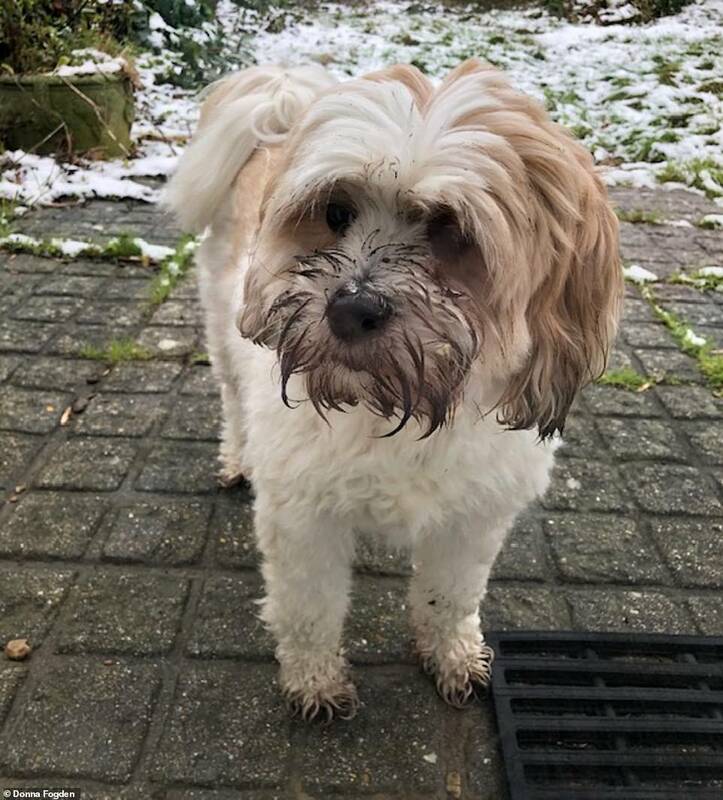 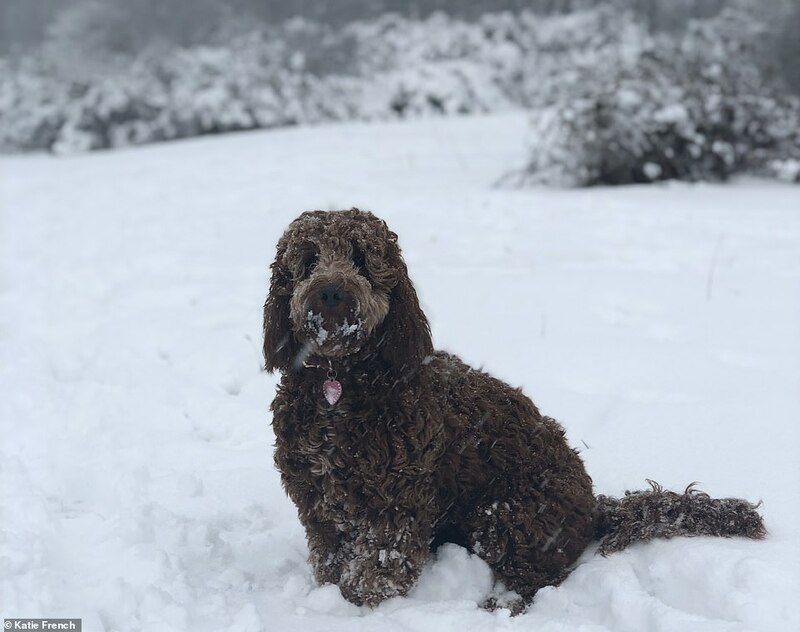 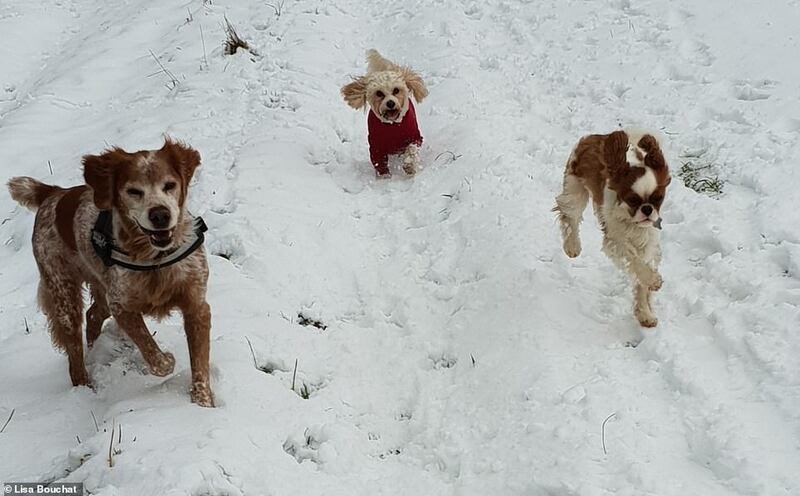 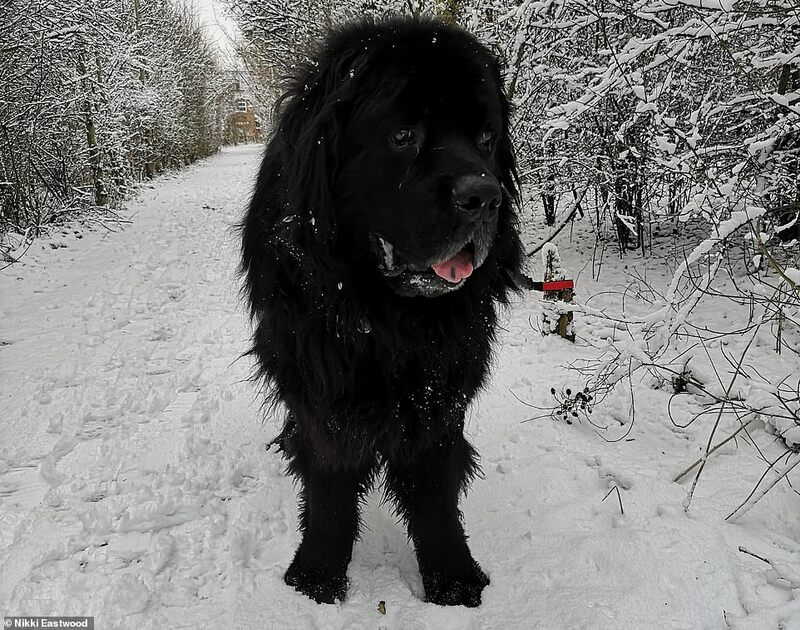 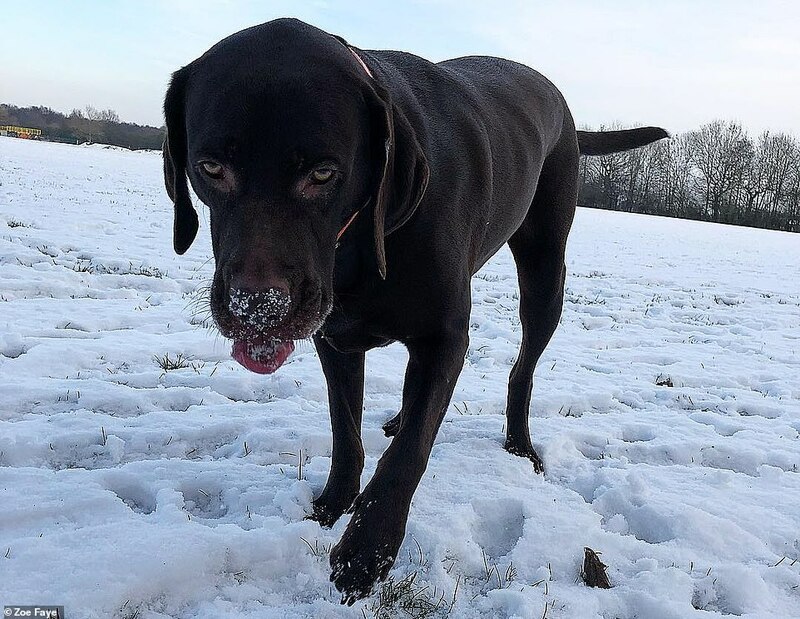 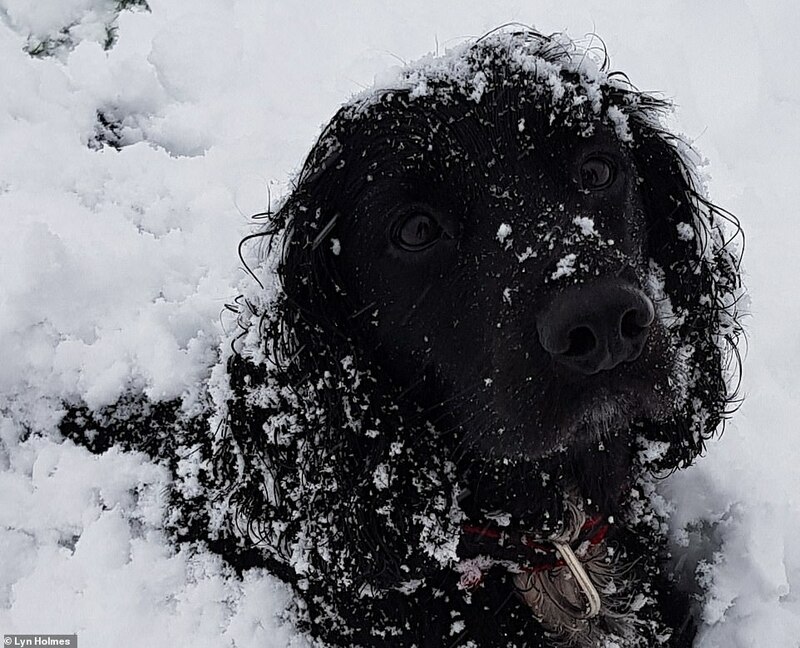 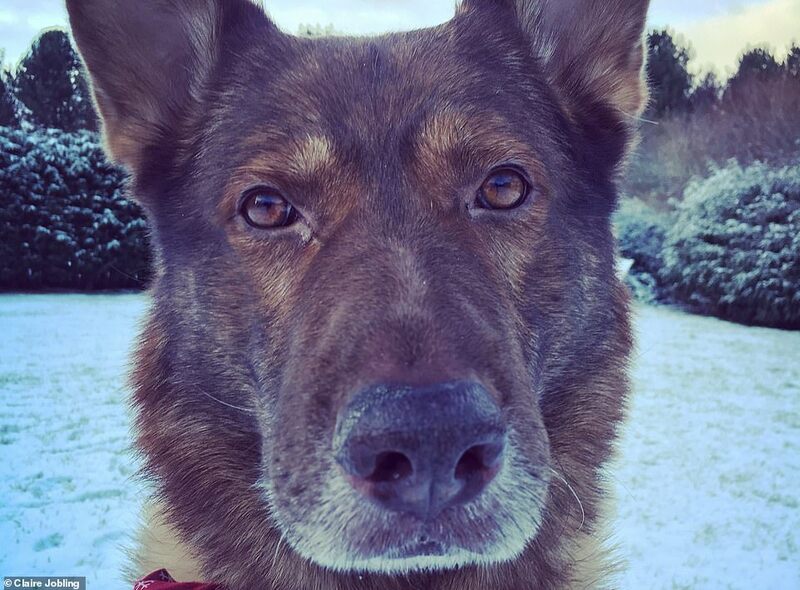 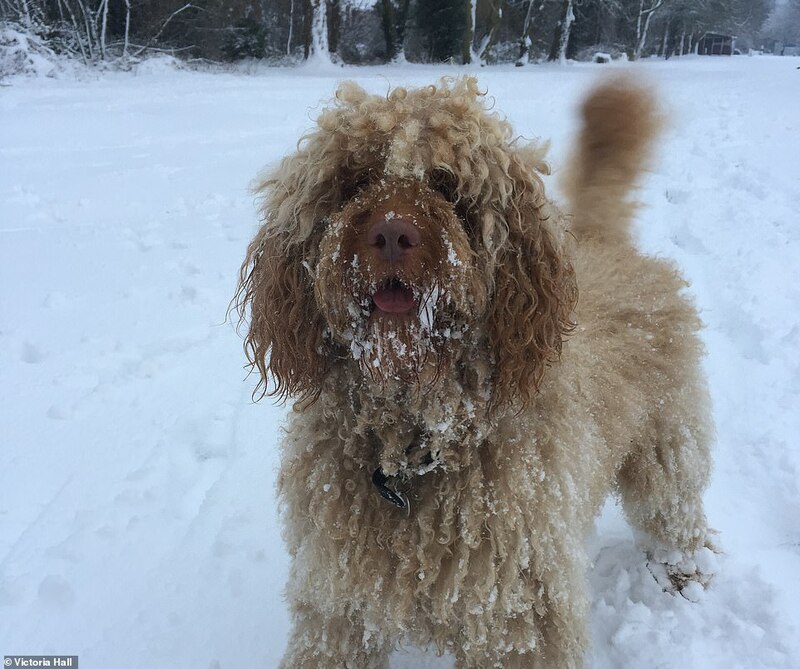 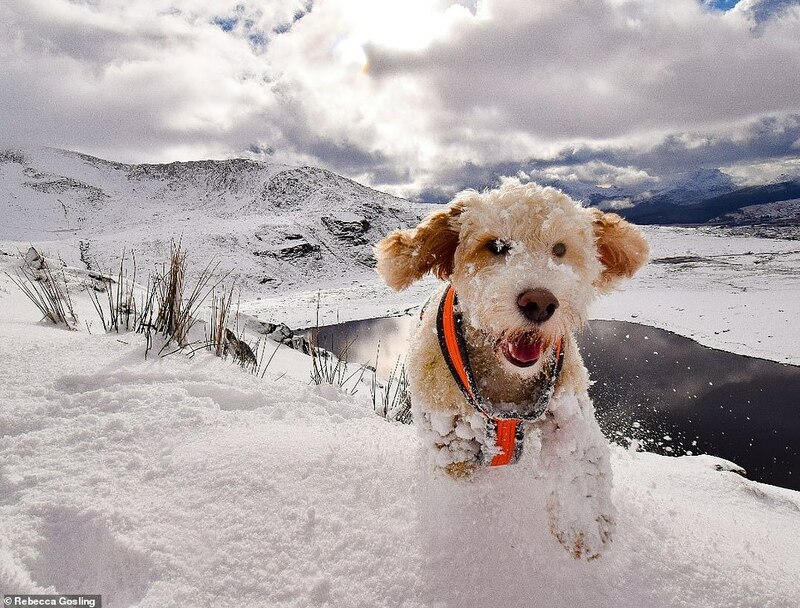 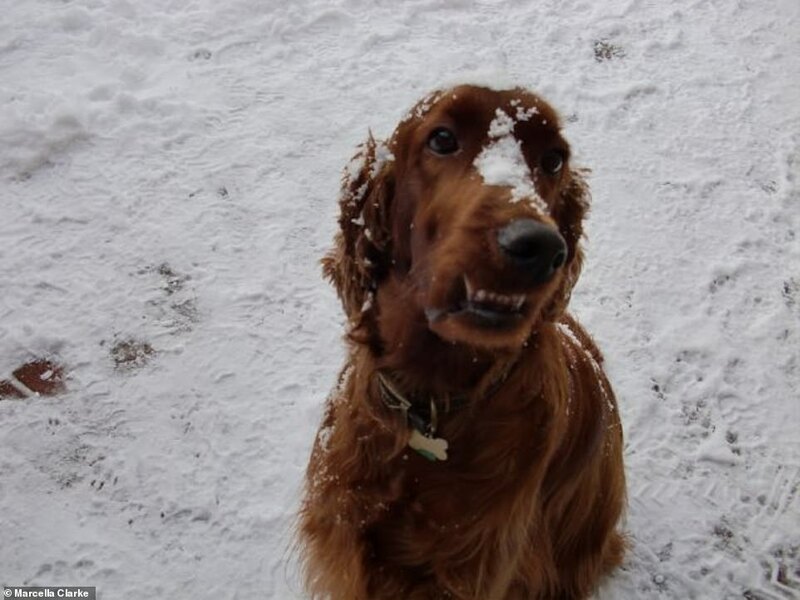 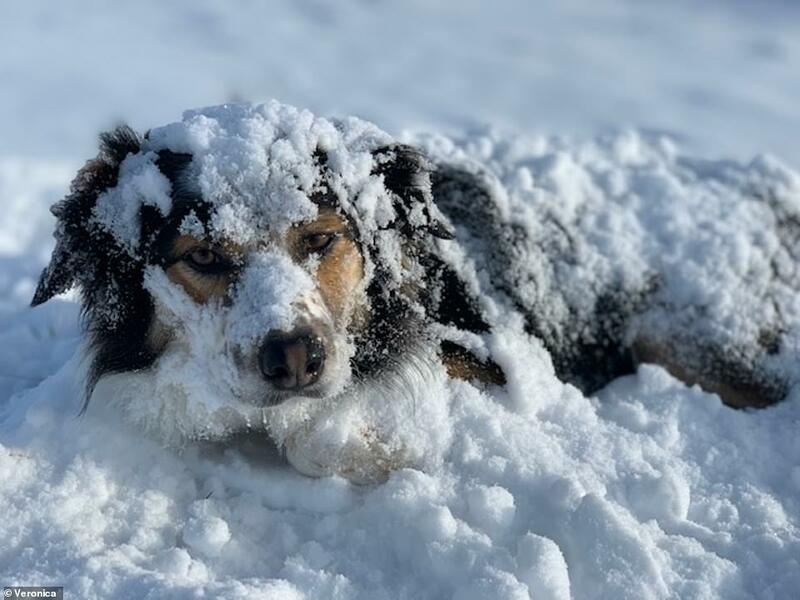 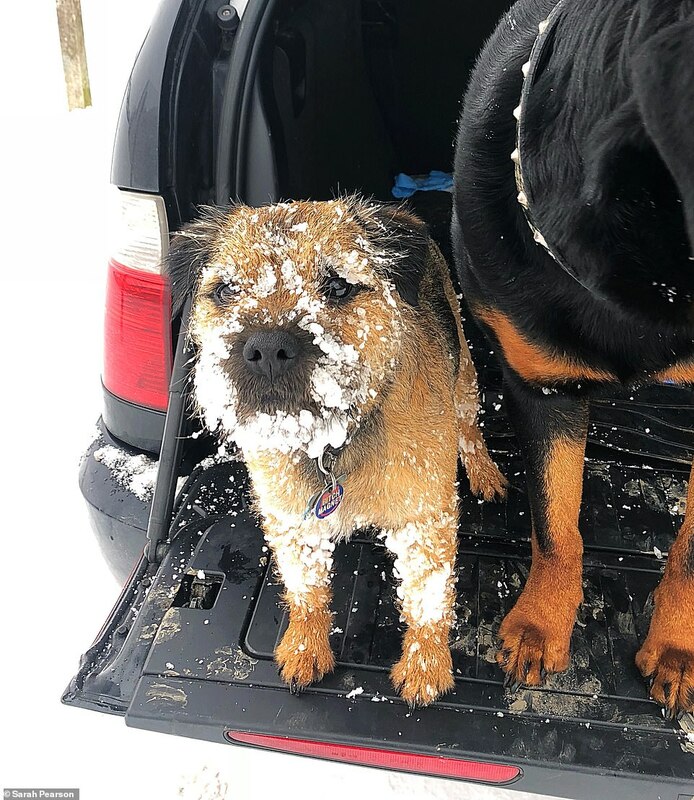 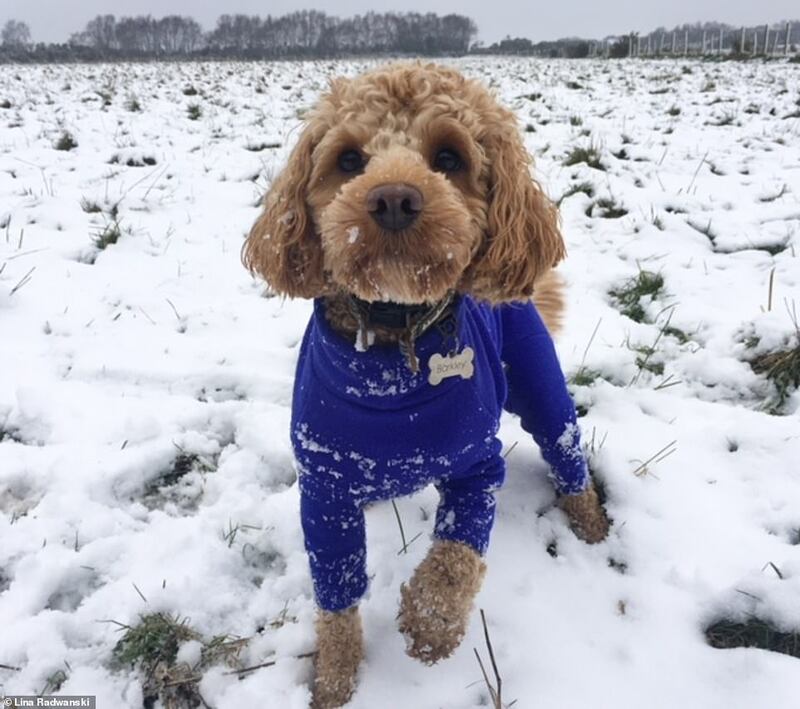 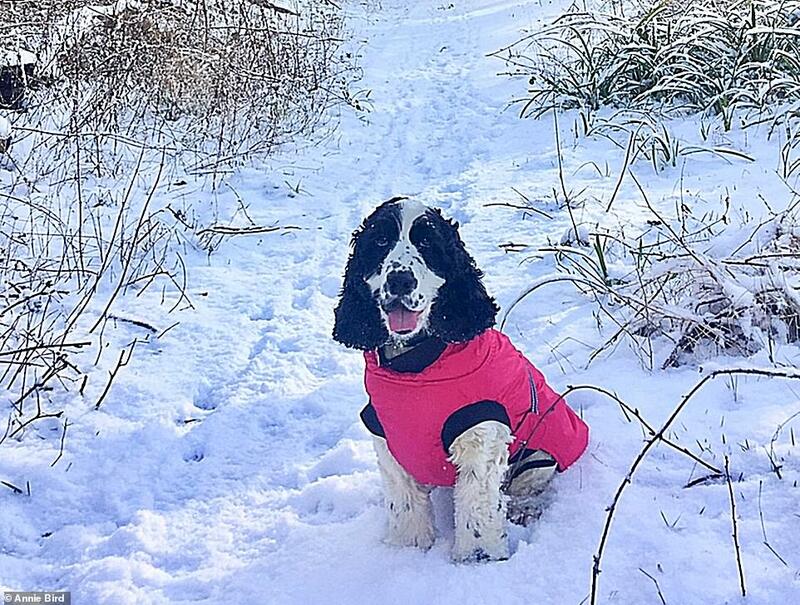 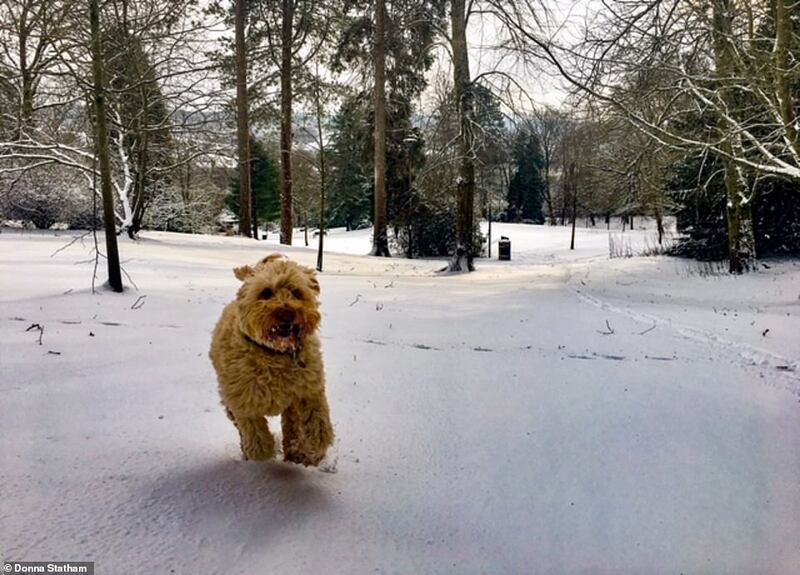 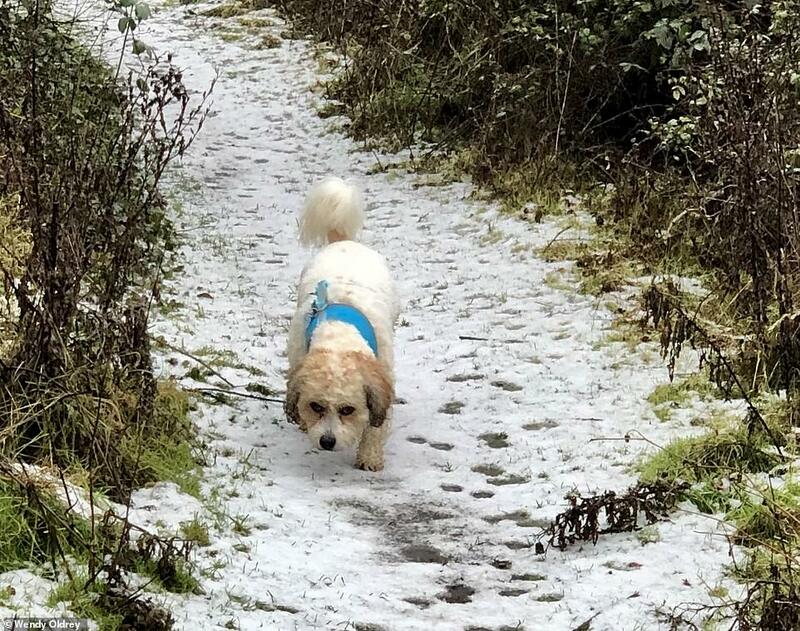 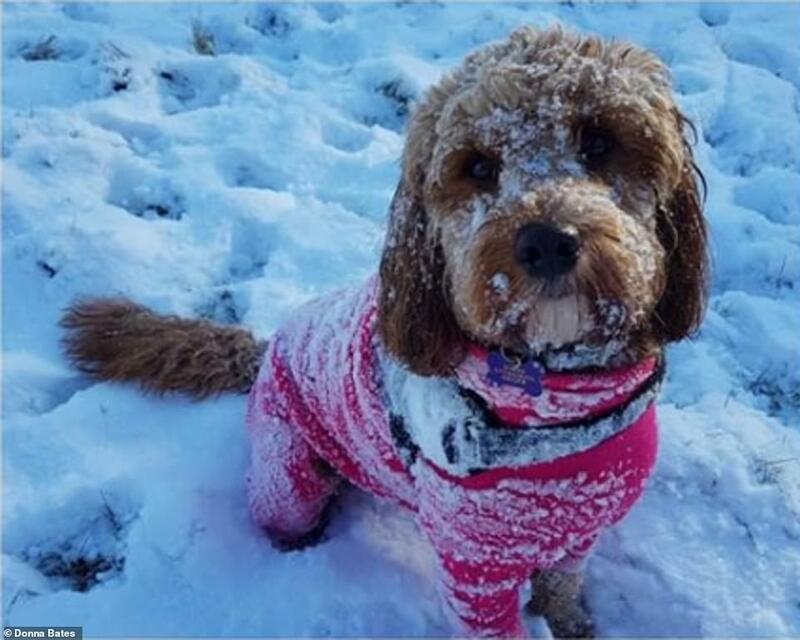 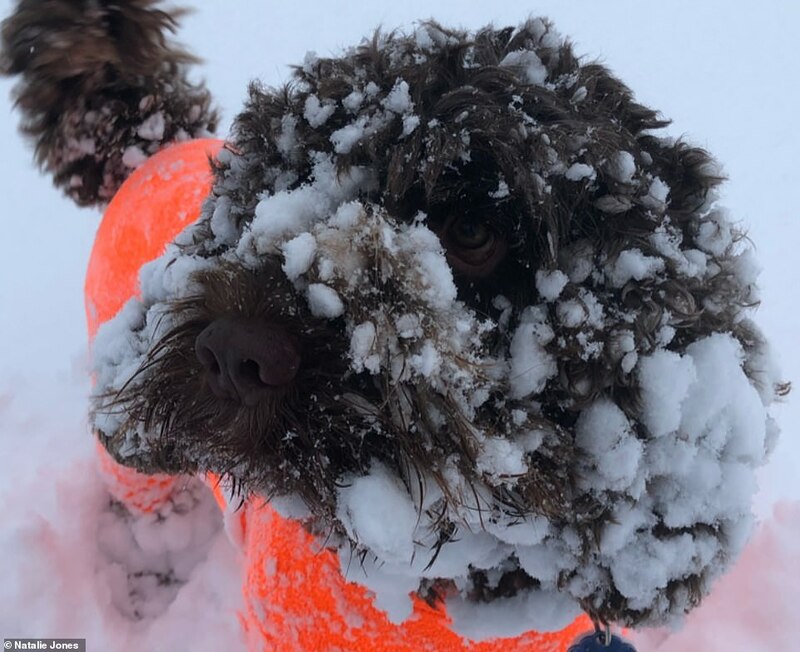 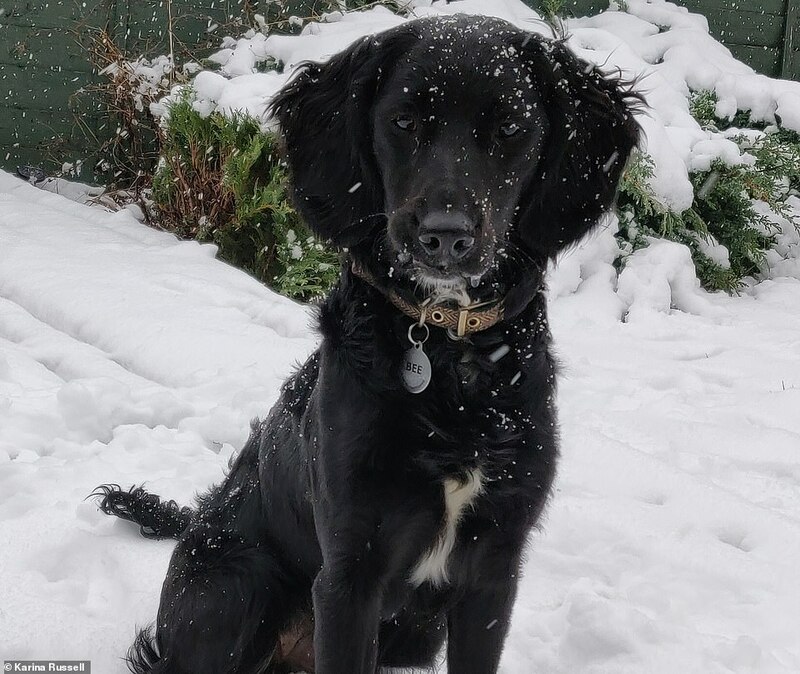 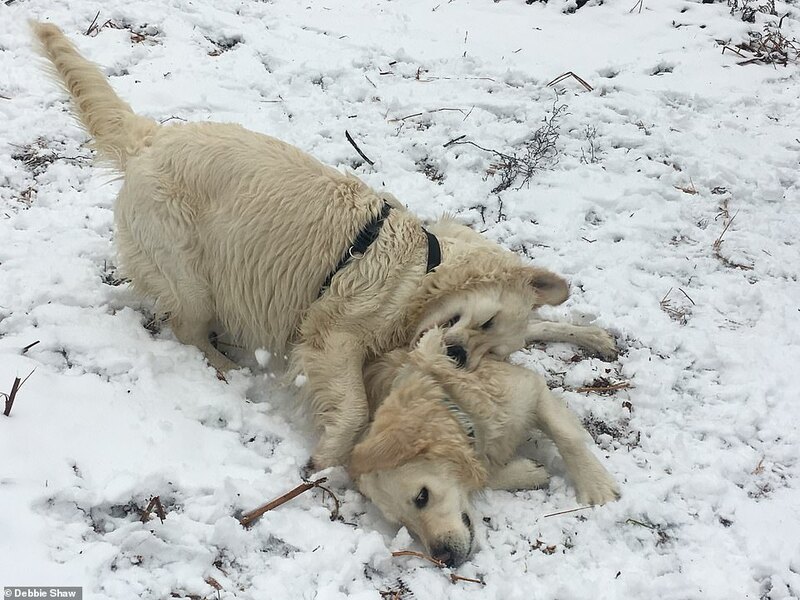 Dogs have been making the most of the snowy conditions across Britain this week as they go exploring in the wintry weather. 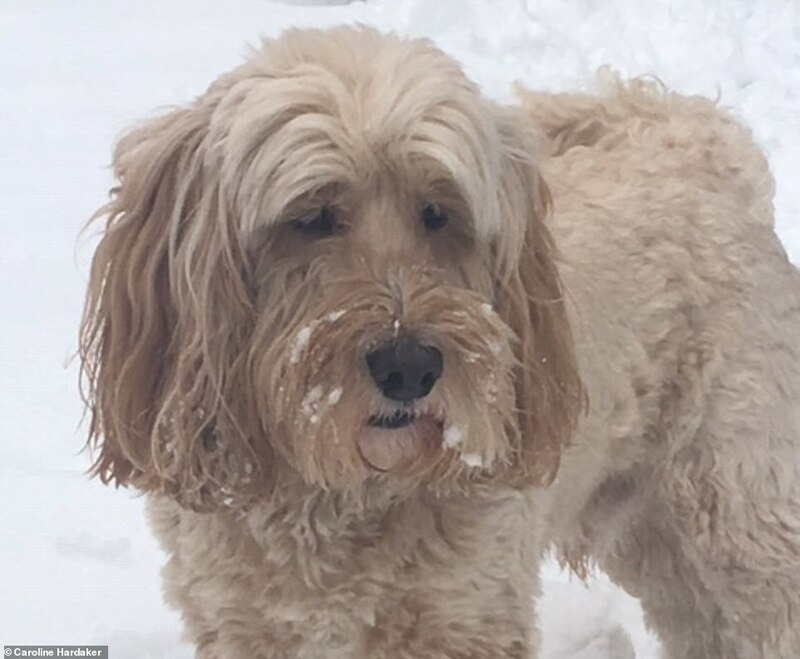 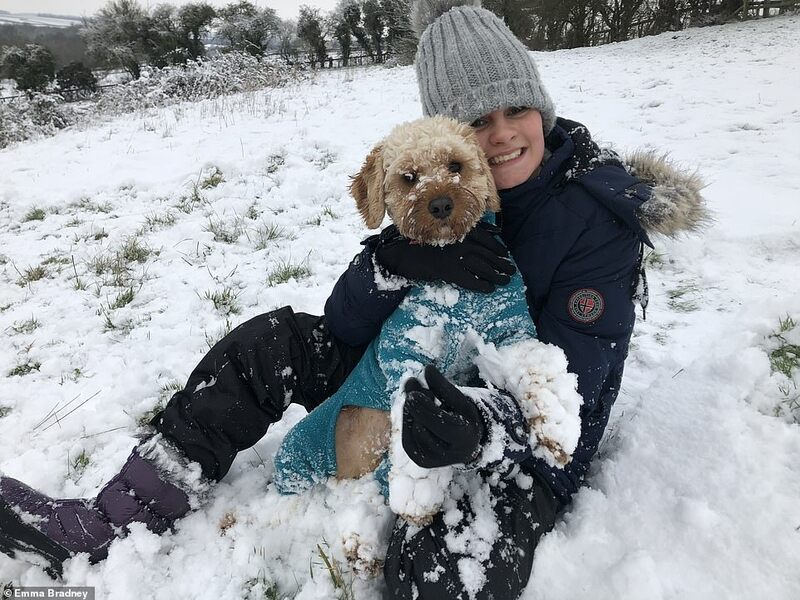 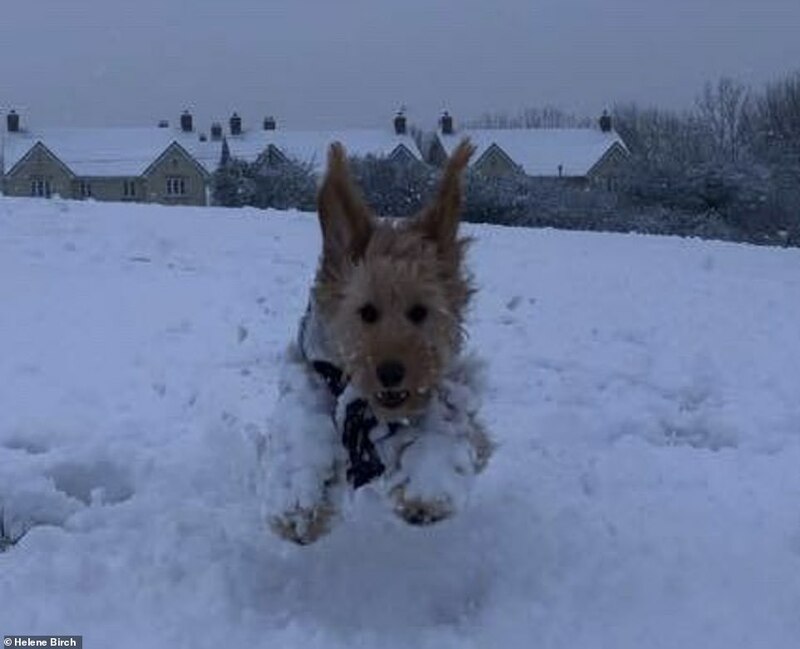 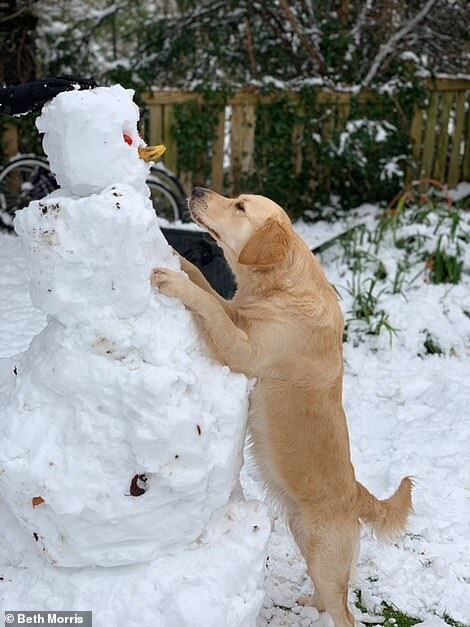 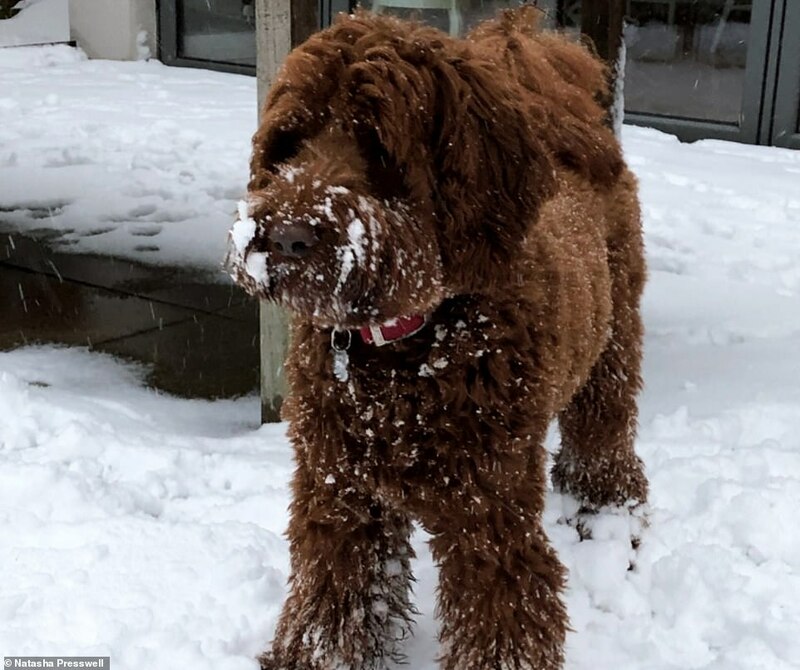 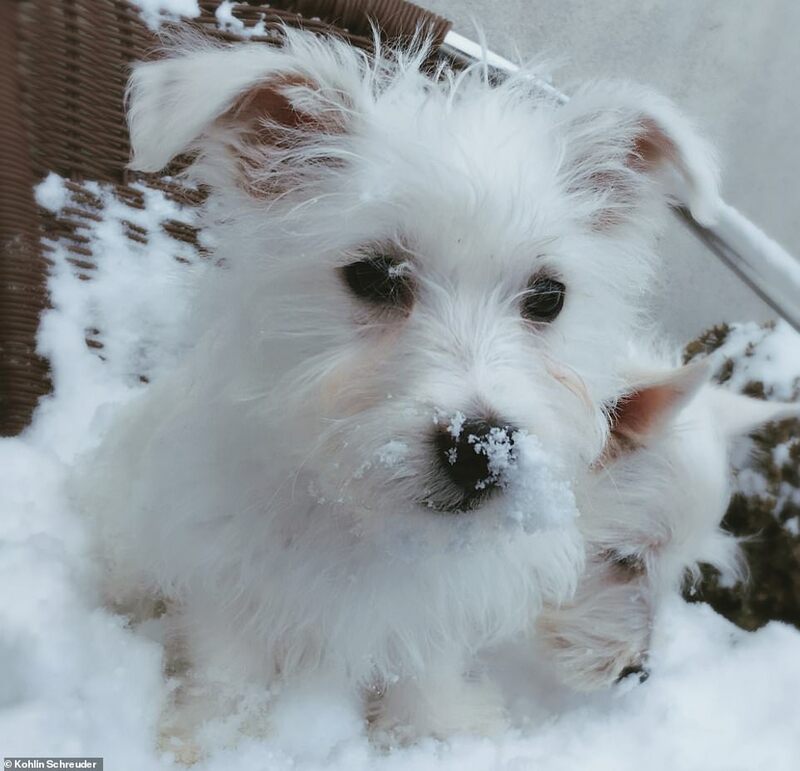 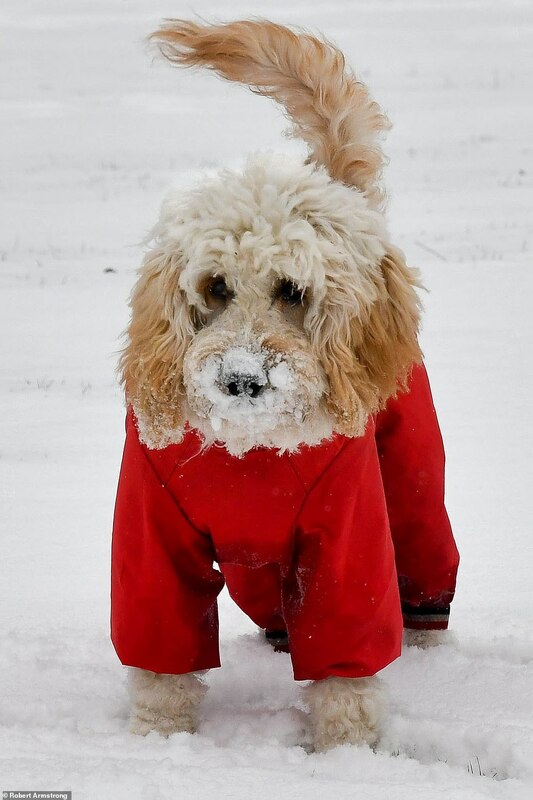 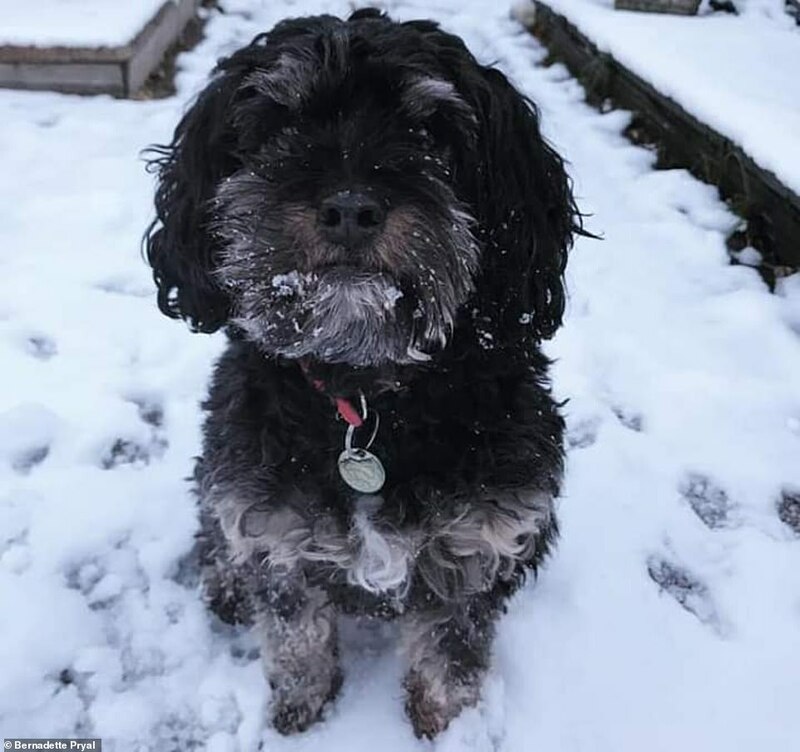 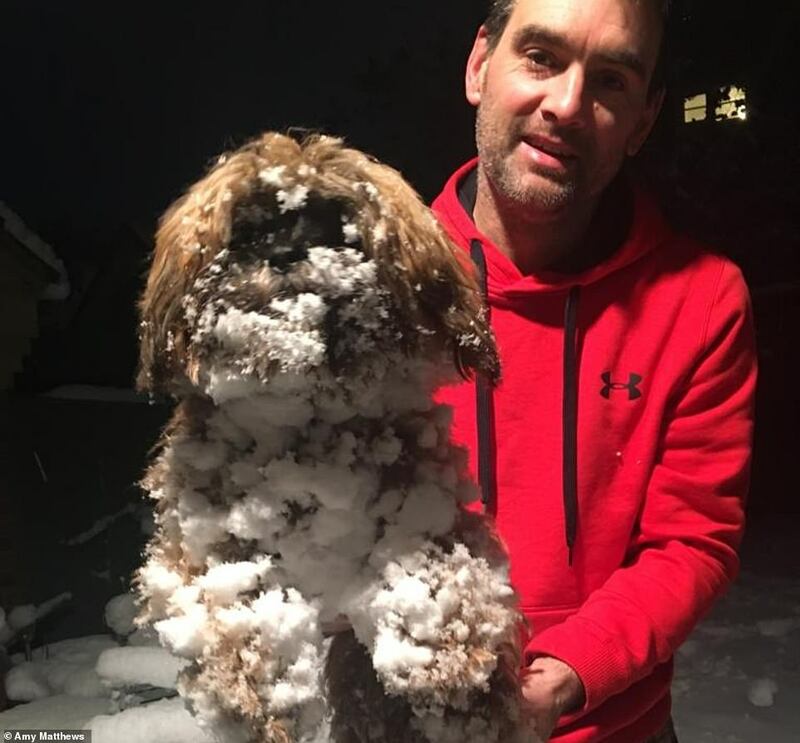 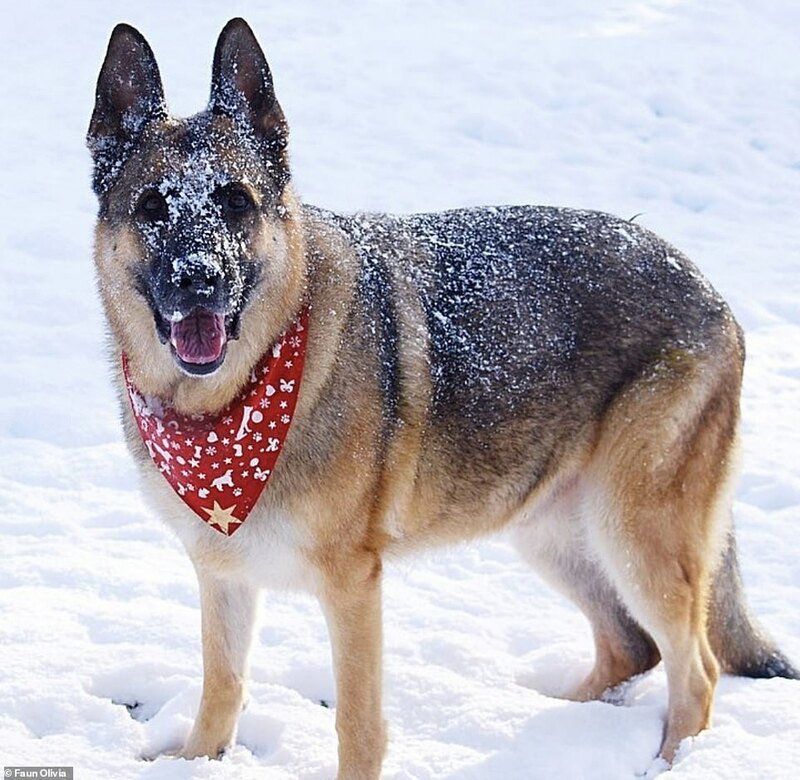 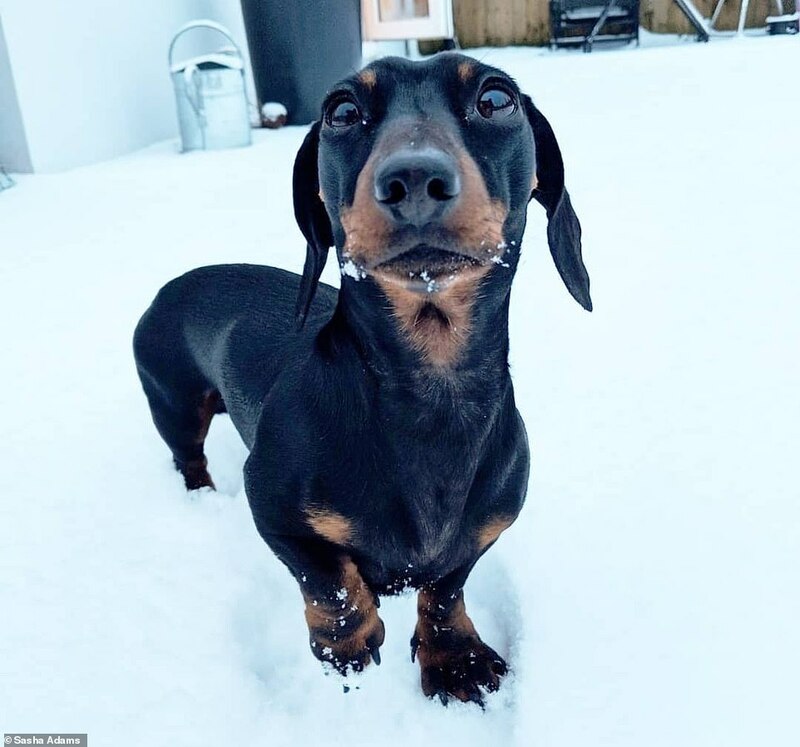 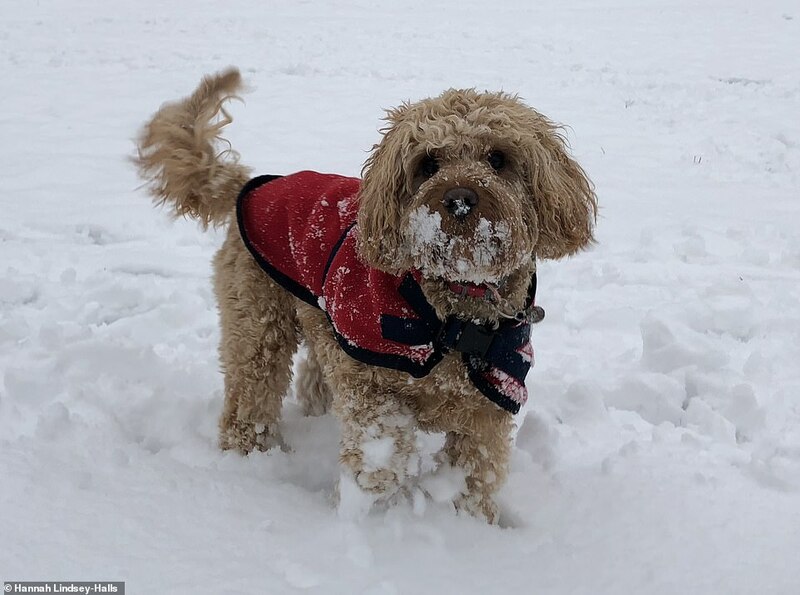 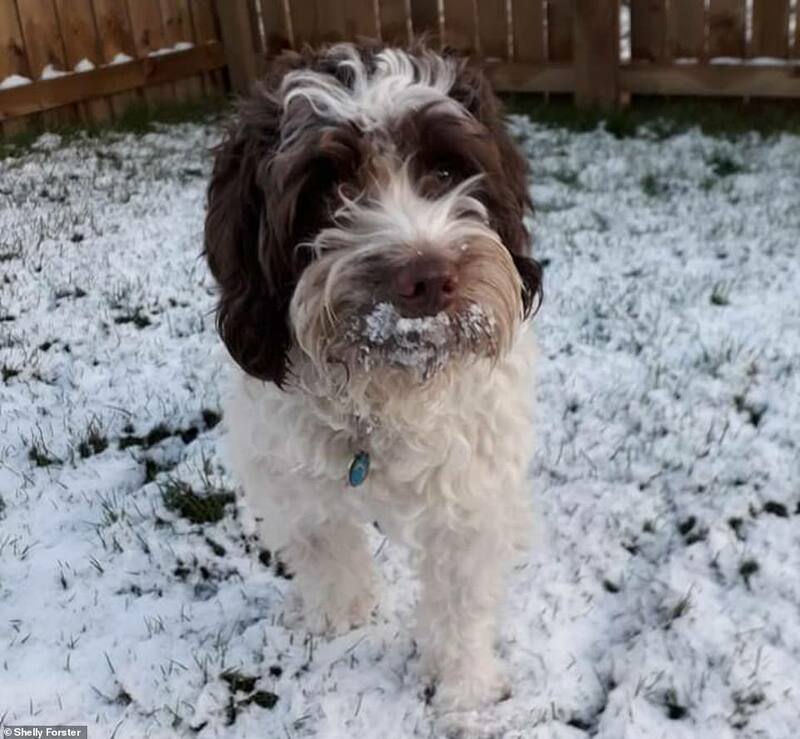 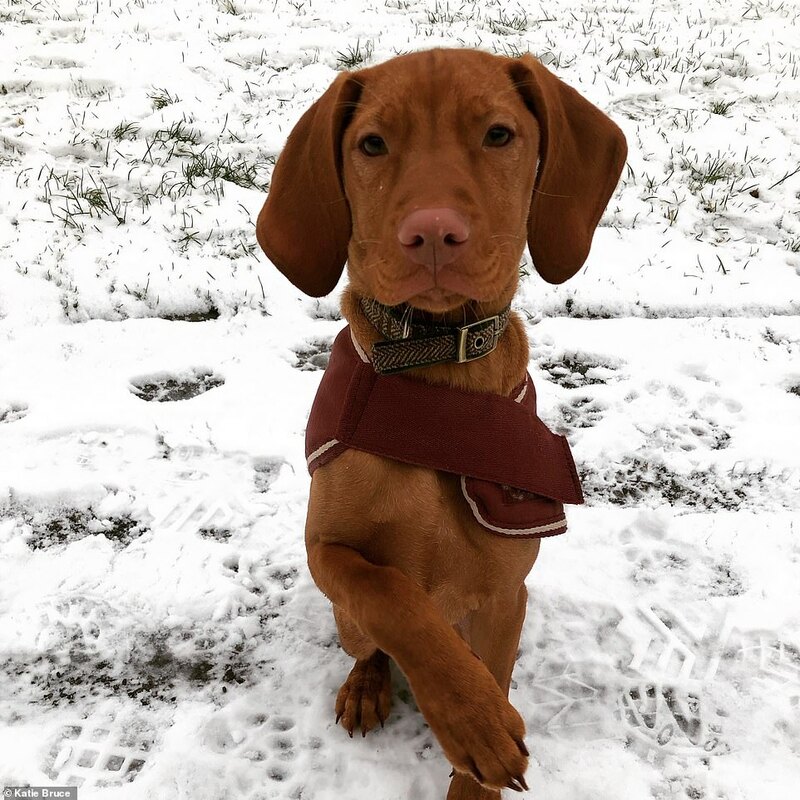 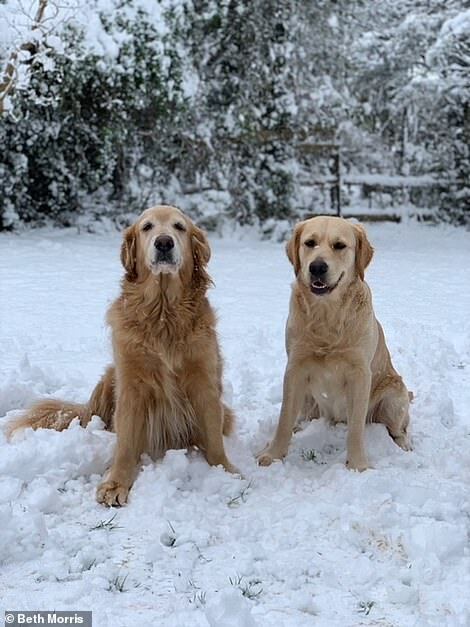 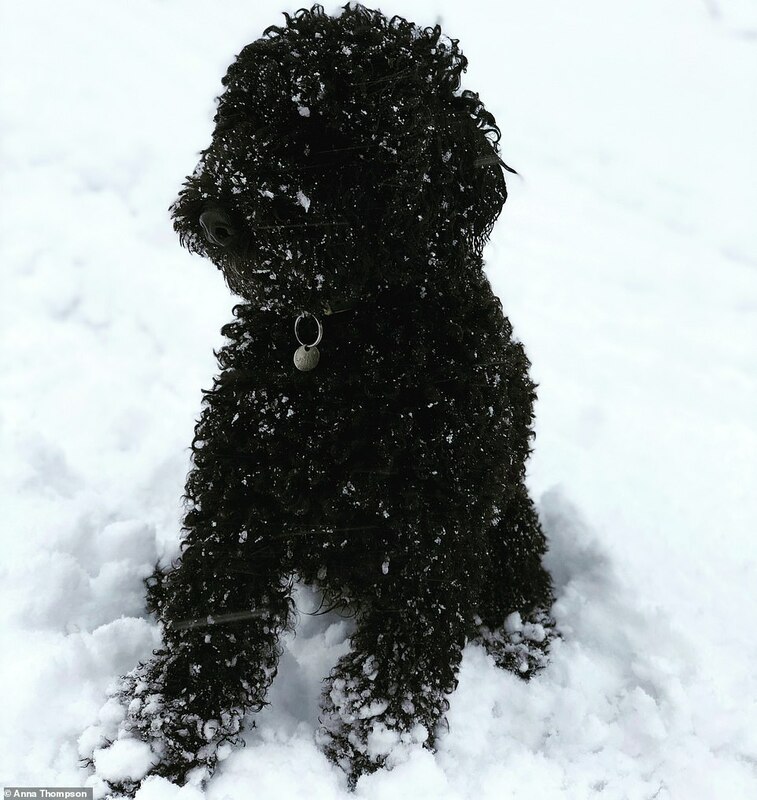 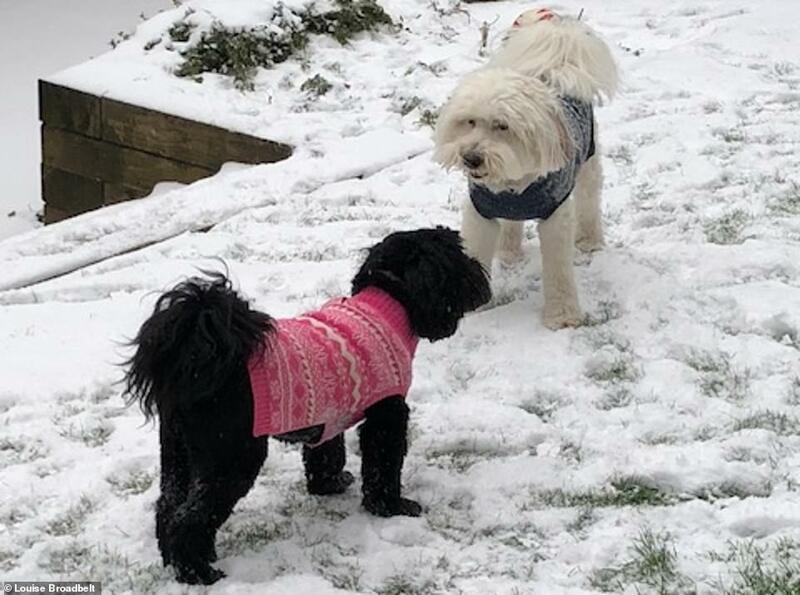 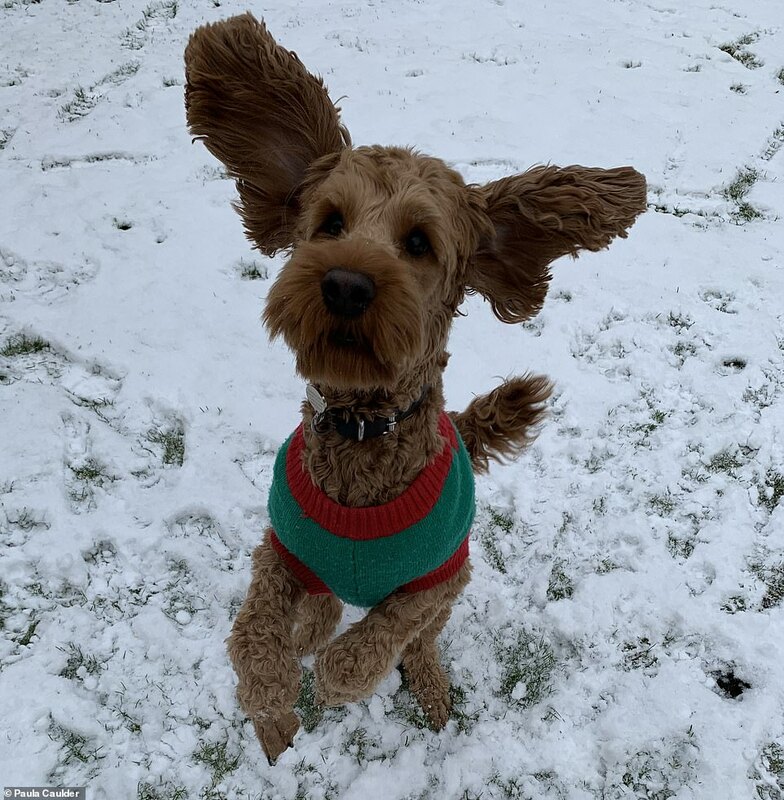 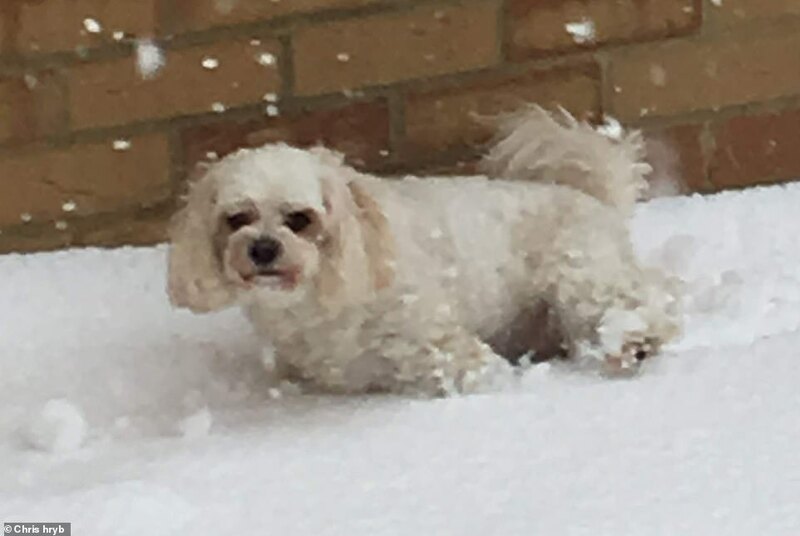 And these great photographs sent in by MailOnline readers show just how much fun their pets are having in the snow – despite temperatures falling as low as -15C (5F). 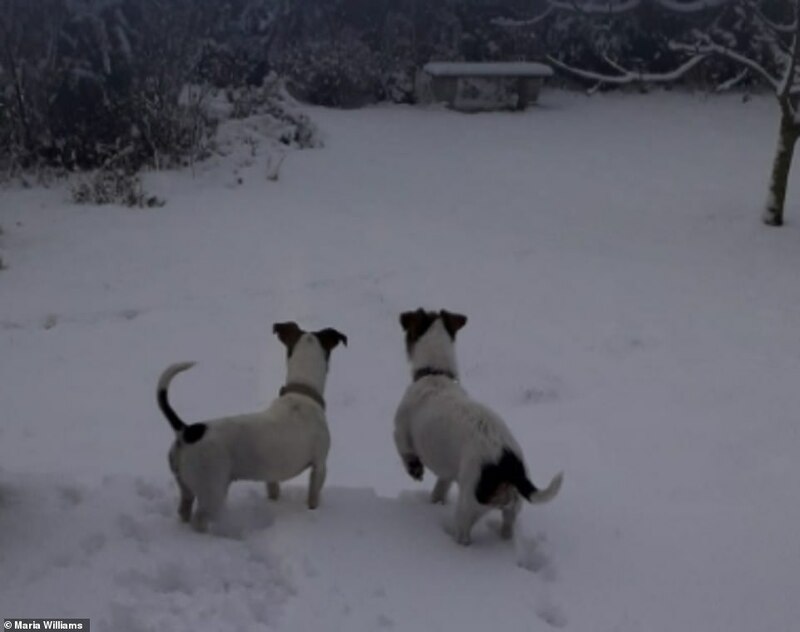 Children were also pictured looking out of the window at the conditions, while cats nervously treaded over the white stuff in some back gardens. 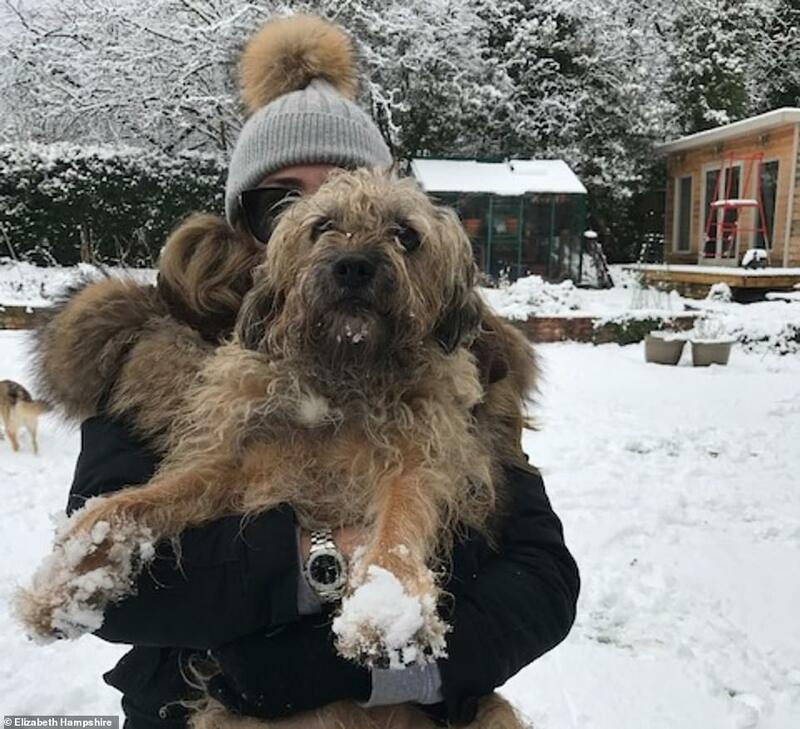 Snowfall and icy conditions are expected to cause widespread travel disruption in the UK this morning amid a pivoting system of wintry weather over the country. 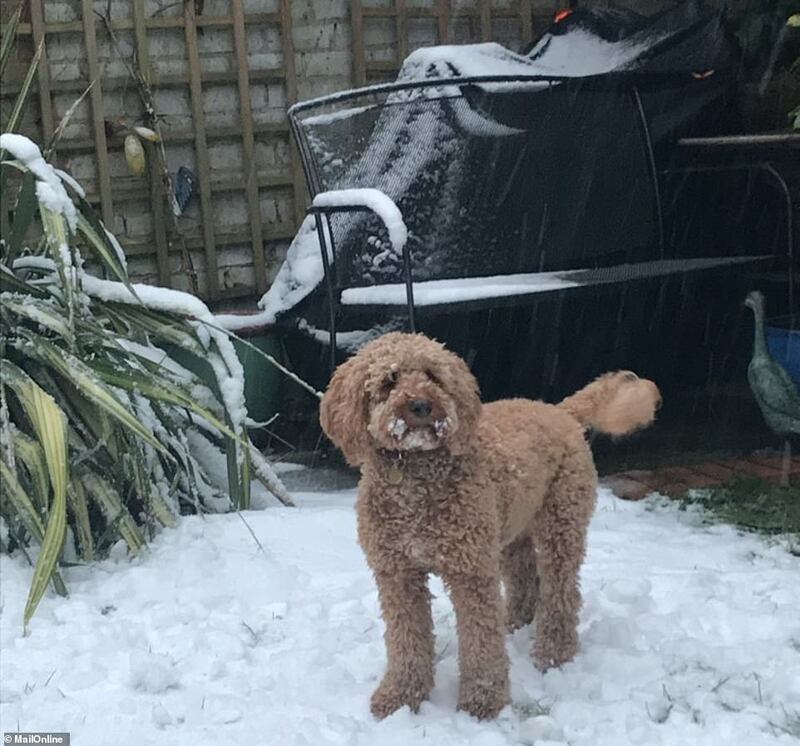 Much of southern England and Wales woke up to more of the white stuff after the UK's coldest night since 2012. 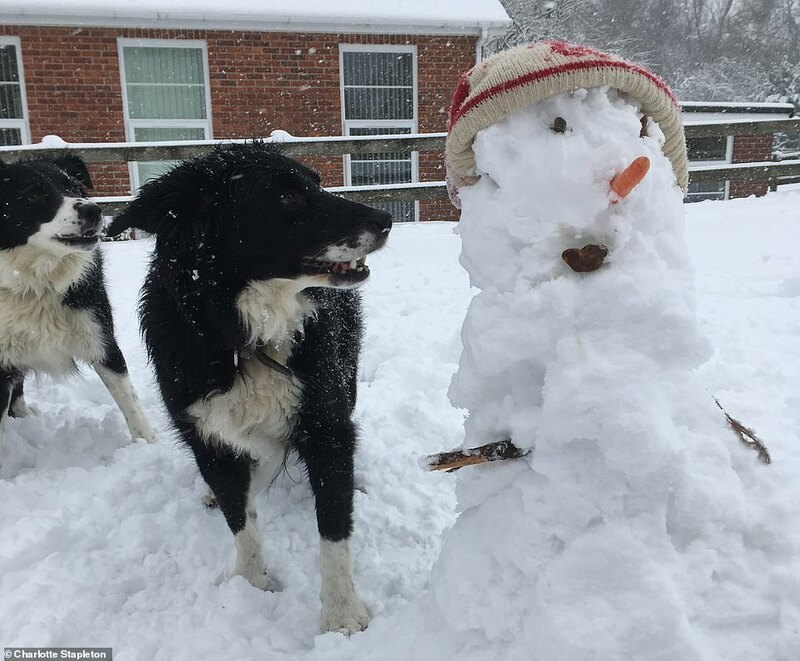 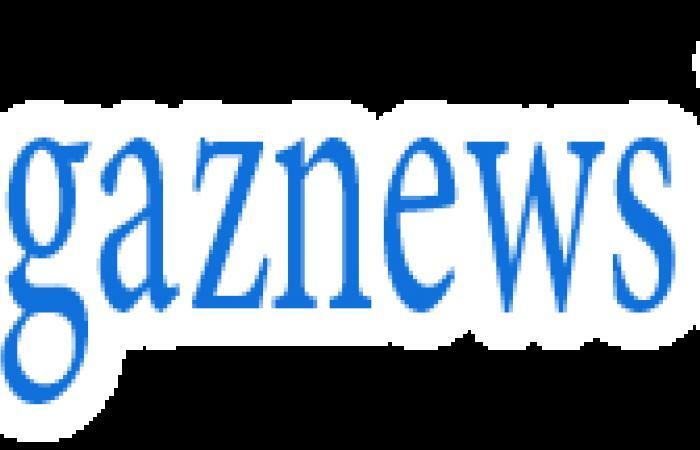 Up to 5.5in (14cm) of snow fell in the South West.